On this day in 1849 the writer, poet and romanticist Edgar Allan Poe passed away, leaving behind an America that would be forever be changed in the wake of his writings. In one of his most famous short essays ‘The Daguerreotype’ Poe offers a beautiful insight into how the world felt during the dawn of photography. One particular extract from the article resonates as loudly today as it did back in 1840, especially when considering the new dawn of digital photography and limitation of the pixel. If we examine a work of ordinary art, by means of a powerful microscope, all traces of resemblance to nature will disappear – but the closest scrutiny of the photogenic drawing discloses only a more absolute truth, a more perfect identity of aspect with the thing represented. The variations of shade, and the gradations of both linear and aerial perspective are those of truth itself in the supremeness of its perfection. What Poe saw in photography was a perfect reproduction of nature, that without restriction could not be proved otherwise. He surmised that even with enough technical skill it could not be told apart from something created in nature, unlike a painting. Edgar Allan Poe next to a crop of his eye in digital. We do indeed wonder what observations the writer would have been made when presented with digital photography. You can read The Daguerreotype in full here. Next Article What the Hell is a Light L16 Camera? 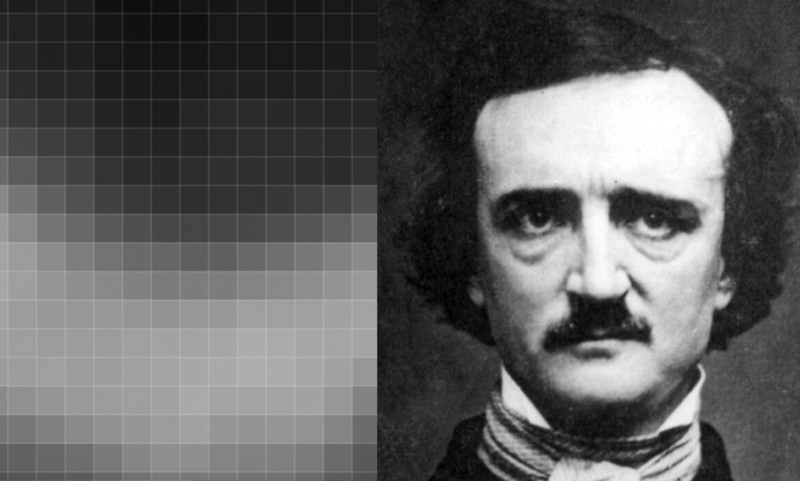 Do you think of Edgar Allan Poe as having a mustache? If so, it is thanks to the invention of the daguerreotype. For the majority of his adult life, Pow had no facial hair, except occasionally sideburns, as seen in the John Sartain etching. 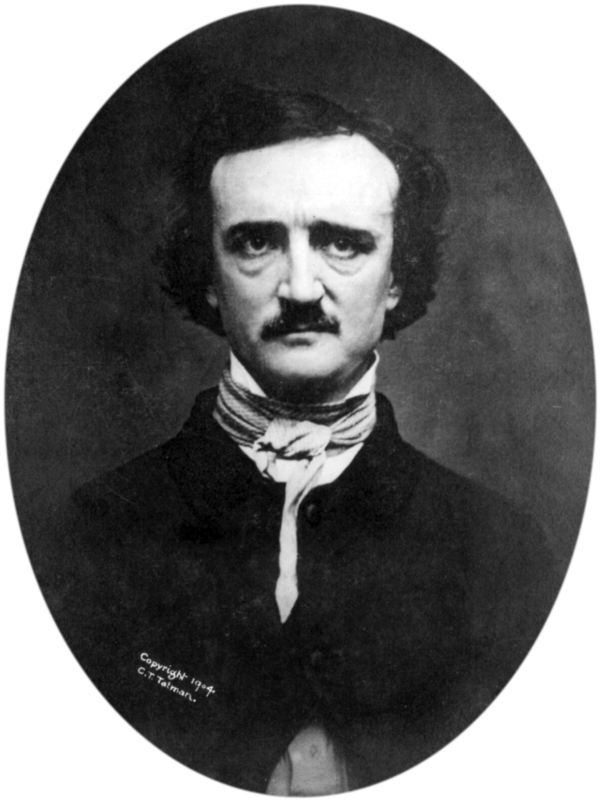 Poe only wore a mustache for the last year or so of his life, which corresponded with the invention of photography. Knowing he was getting his likeness made he may have grown it for the occasion as that’s how he wanted to project himself.